This topic contains 68 replies, has 7 voices, and was last updated by beachcomber 2 weeks, 2 days ago. YES PLEASE !! 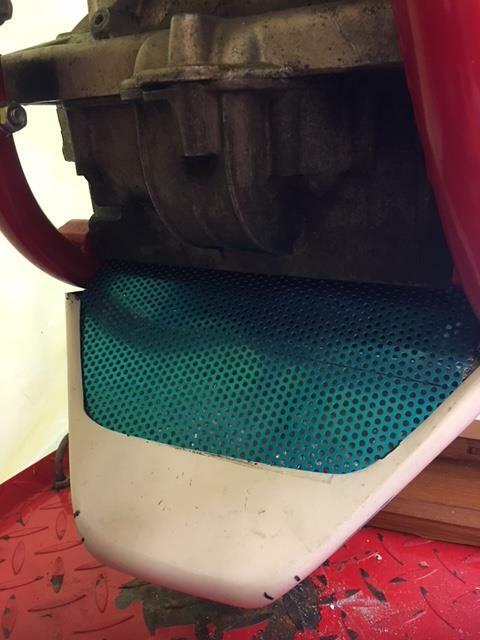 A spare frame would be absolutely ideal to mock the blower motor up. 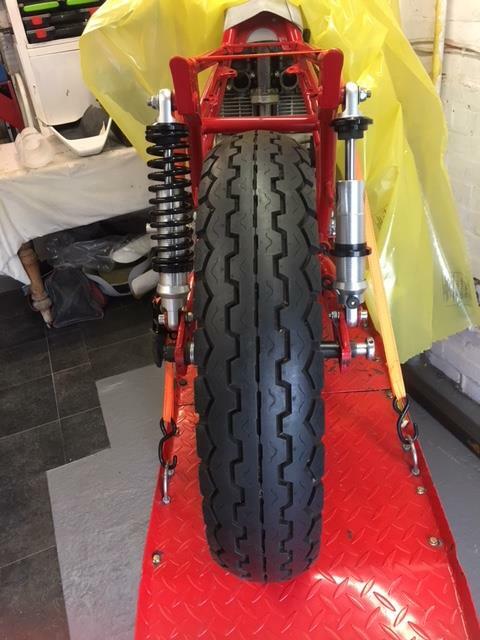 As you will have read – the rolling chassis is now round at my pal’s – that’s great, but means there’s no ref point back in my shed for the blower set up. Depending on where you are I can collect, or probably good old Hermes is probably the best way. NO NEED to wrap / package – the last frame I sent just had some delivery labels attached. They do like any pointy out bits to be covered ! If that’s the way to go, I’ll send payment for carriage. Also peeps I’m after a spare late bottom end. I’m collecting my late engine from KK in January, but with a blower AND nitrous I’m thinking a spare bottom end won’t go amiss ! TJ, I’m based just down the road from you in Shirley. I’m using a few hours of my Xmas break to try to tidy my workshop, I’ll pull the frame out then. I’m happy to drop off or you collect when I have sorted it. 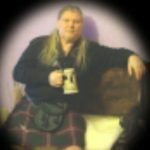 Sorry but I don’t have a spare late bottom end. that’s perfect. I can collect no probs – unless you want to have a look at progress on the Glemseck project ! I’ll PM you with my phone #’s. A new year – a new start. First day in the garage and we have finally [ !! ] 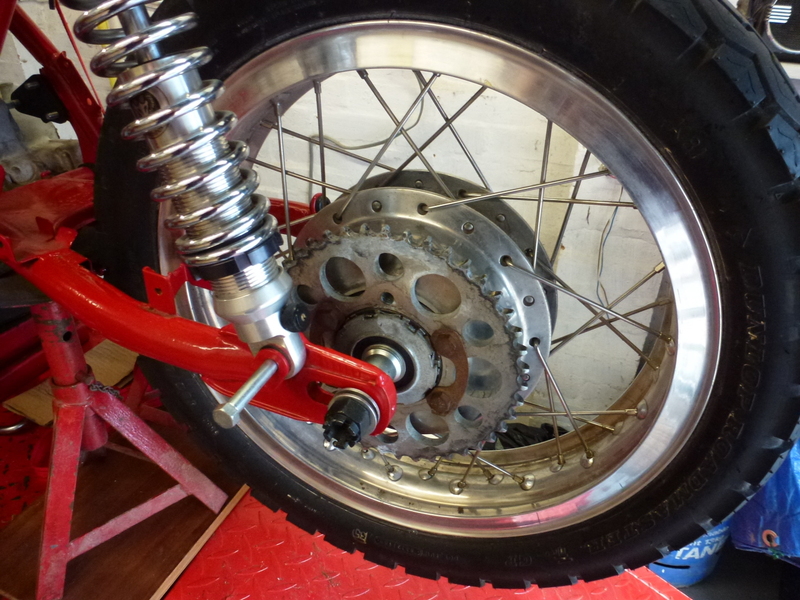 fitted up the front forks – oil and actually got the caps on without cross threading them ! What a fargin stupid design !! The wheel has been centralised ready to be measured for the new spindle / spacers, then that’ll be the front end buttoned up. 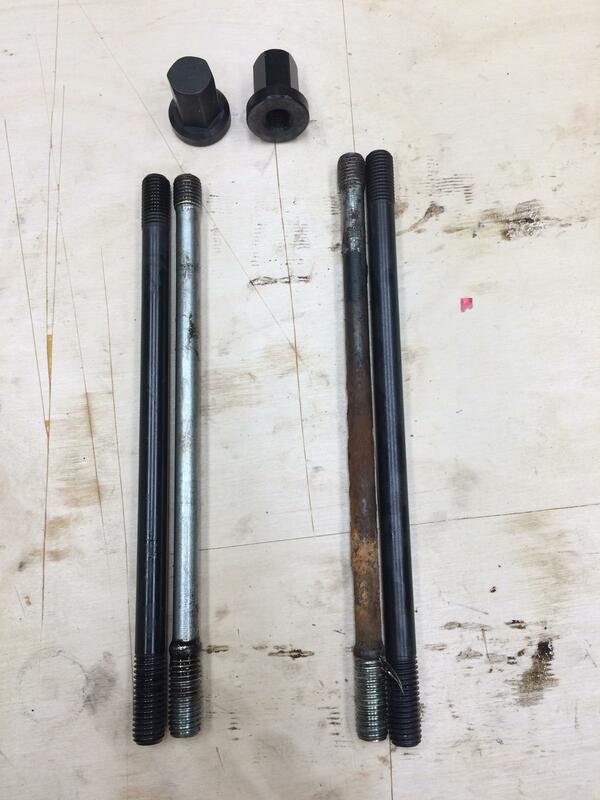 STILL need a fork brace ? The one I bought was very nice – but not for my bike ! Still waiting for the refund. 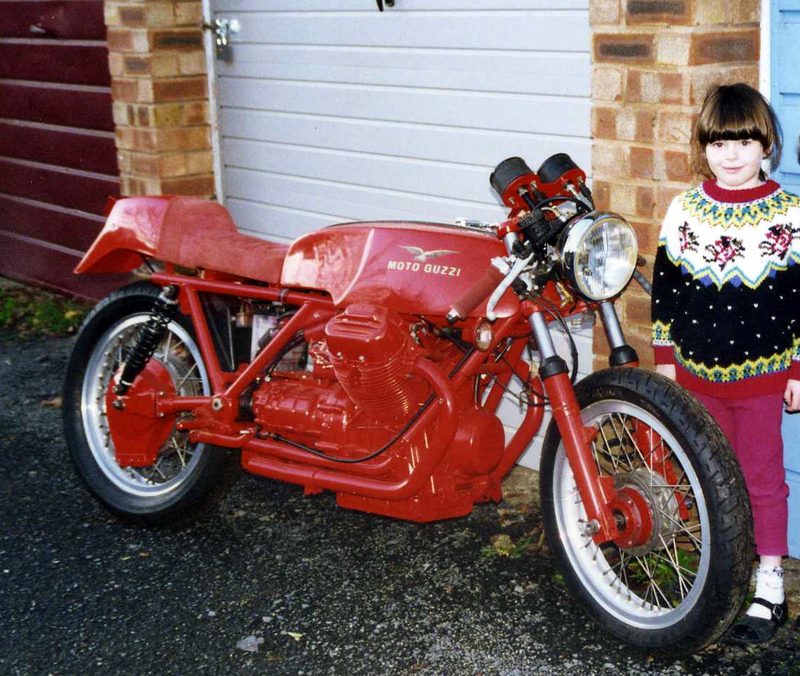 I think I might go all classic with the steering dampener – like the old fashioned Brit bikes – I even have a Manx Norton adjuster wing nut ! 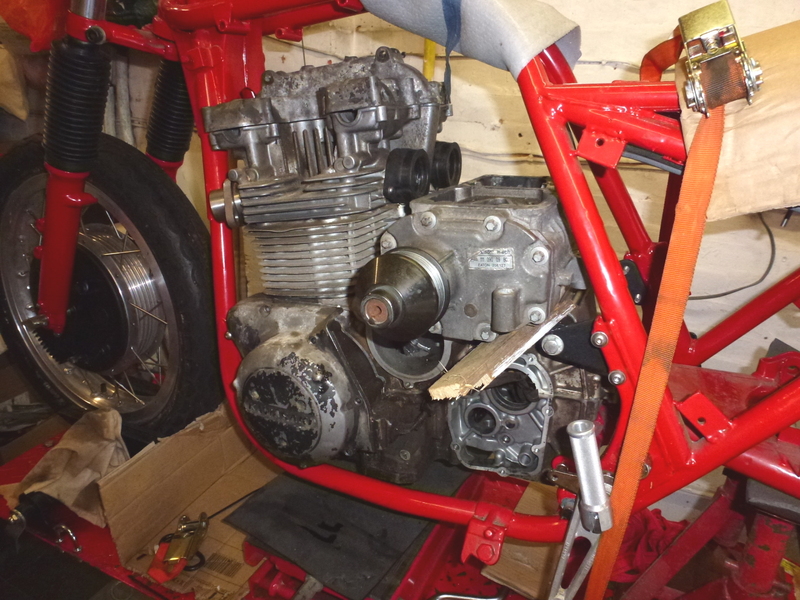 More work on positioning the blower / drive / manifolding / plenum etc. The good news is that everything has dropped neatly into place. We’re also mocking up the under frame tank, breather can, etc. 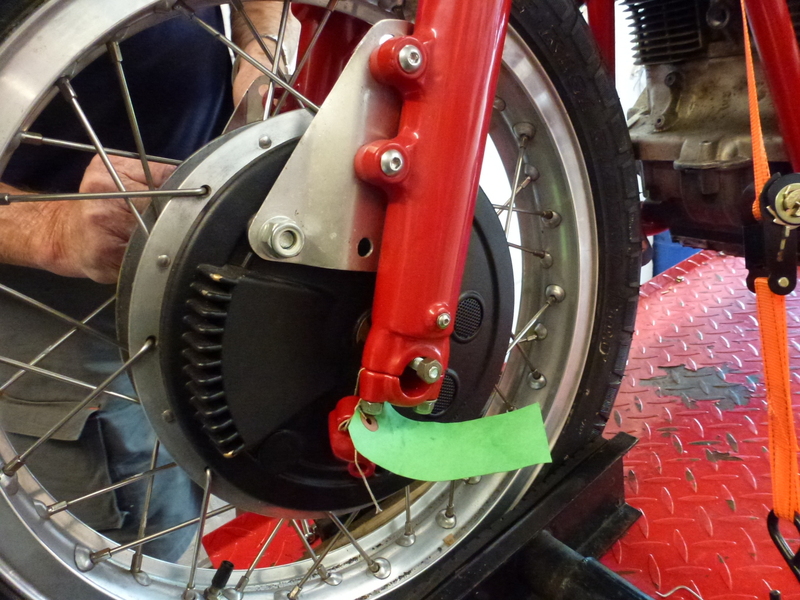 Rear sprocket now fitted so we can get a base alignment for the rear wheel. And finally, I removed the “new” [ 4 years ago ] gel battery from under the seat – and guess what – it’s charged up AND holding 12.75 amps after 5 days. After we mocked up a fuel cell [ 8.5″ x 8.5″ x 10″ ] I got quotes from 3 UK based companies – £125, £145 and £175 !!! All with 2-3 weeks delivery time. 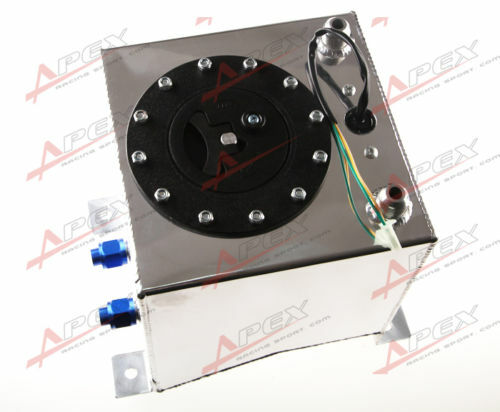 Off the shelf alloy fuel cell ordered from Chinabay on WEDNESDAY – arrived today [ Saturday ] £56 delivered AND it has aircraft fuel cap and all the AN alloy fittings !! Big shout out to Rich of this parish for donating his spare KZ ex. chopper frame for my projects – thanx. TJ, you are very welcome, I’m pleased the frame will be of some use! Bike’s looking good, TJ. 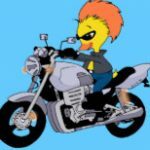 Sorry I never read your earlier post, I’ve not been doing much, except riding the new bike and not been on the new site really. Spoke to Andy a few times and he mentioned your projects. By all means hang on to the parts for as long as you need them, I don’t have much planned for the time being. Cheers Kenny – didn’t want you to think I was taking the Mick !!! Anyway – progress. The POC fuel cell has been mocked up and my belly fairing finally arrived. First POC fitting seems to indicate we’ve got it right . 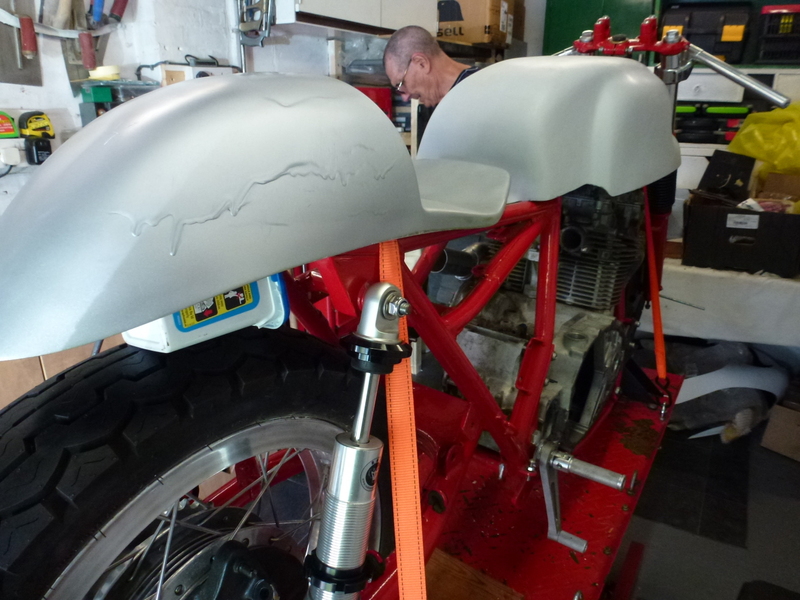 The fairing will be moved back 3″ [ when we move the axle stands ! ] and that will allow me to extend the cell by 3″ giving me 2.5 imp galls. 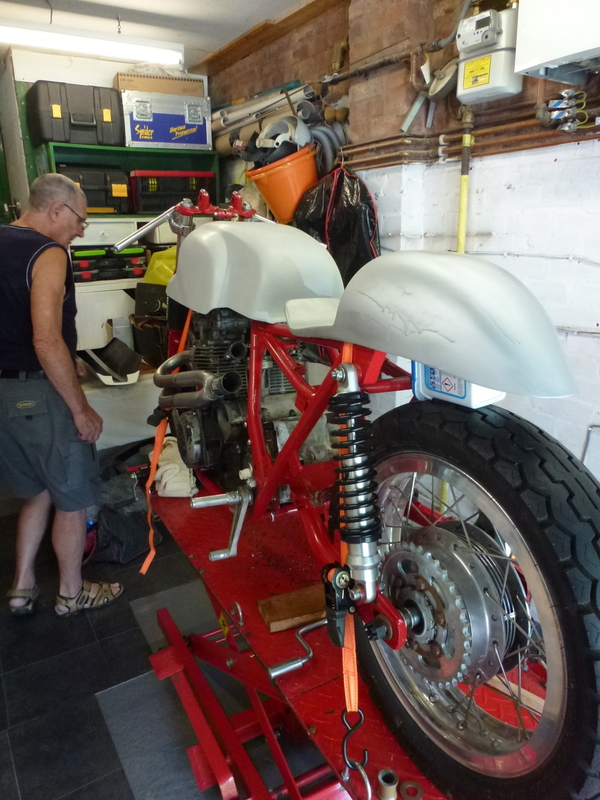 The plan is to tidy the whole fairing up once the position has been finalised. 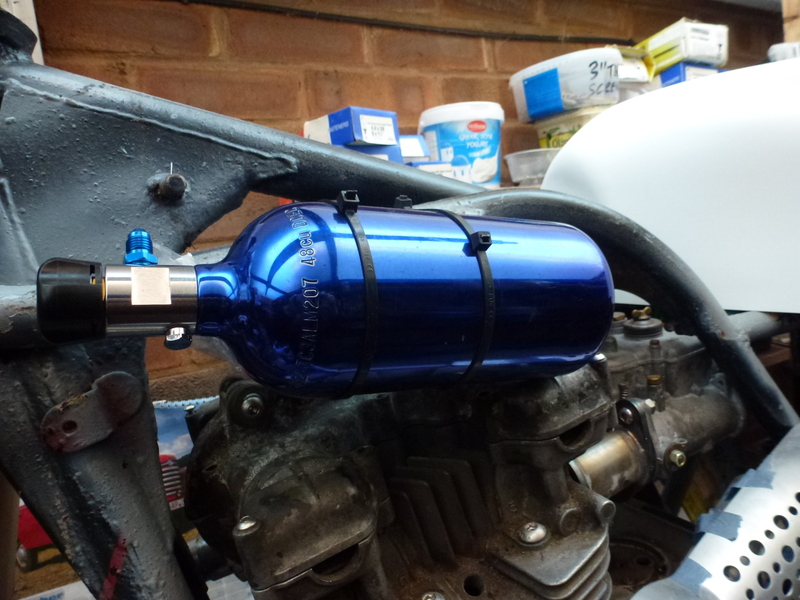 The fuel filler tube will be behind the engine, exiting in Manx / Goldie central oil tank style in the front of the seat. A fuel spill funnel will be incorpotated as the battery may still be living under the seat. If there’s enough room I’d like to move it into the fairing along with the fuel pump[s]. Hmmmm pix won’t load ??? 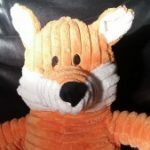 Been very busy with life ….. few health issues, but more or less fixed now and back to the project. The first engine will now be the Weber fed, Nitrous assisted lump while the blown engine [ probably Turbo ] will be next on the bench when funds allow. 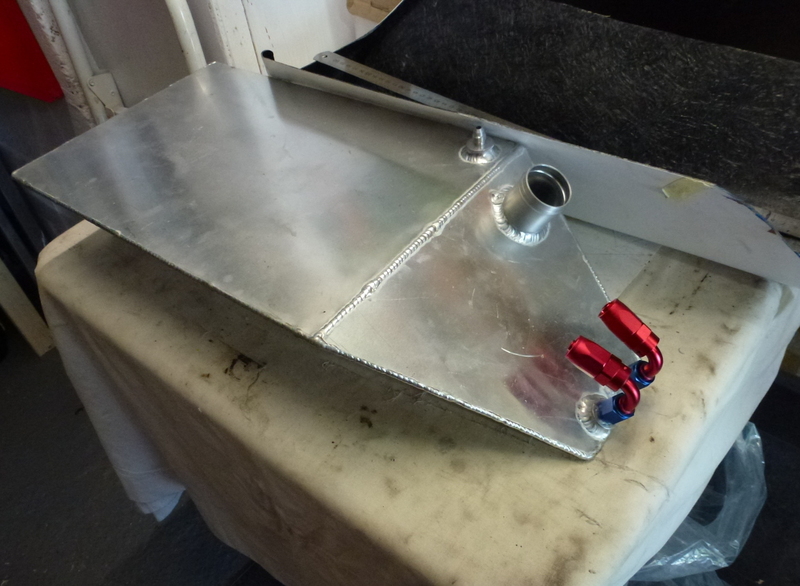 The under frame fuel cell is now made [ 2.3 Imp galls ] and the belly fairing modified to suit. Wheel spindles and spacers / sleeves have been made and the headers mocked up and just awaiting final fettling for a good joint fit then a pal is going to tack them up prior to taking them off for welding. 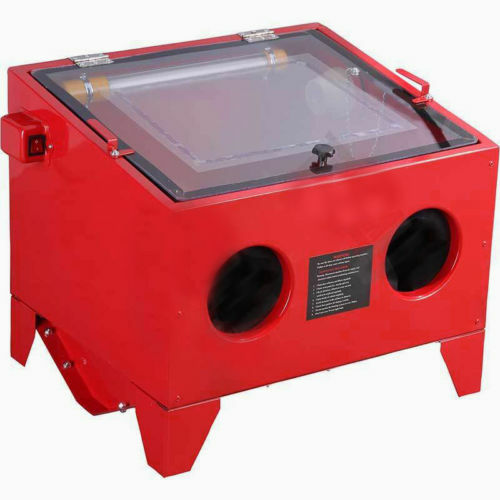 New workshop toys – blast cabinet and decent compressor. 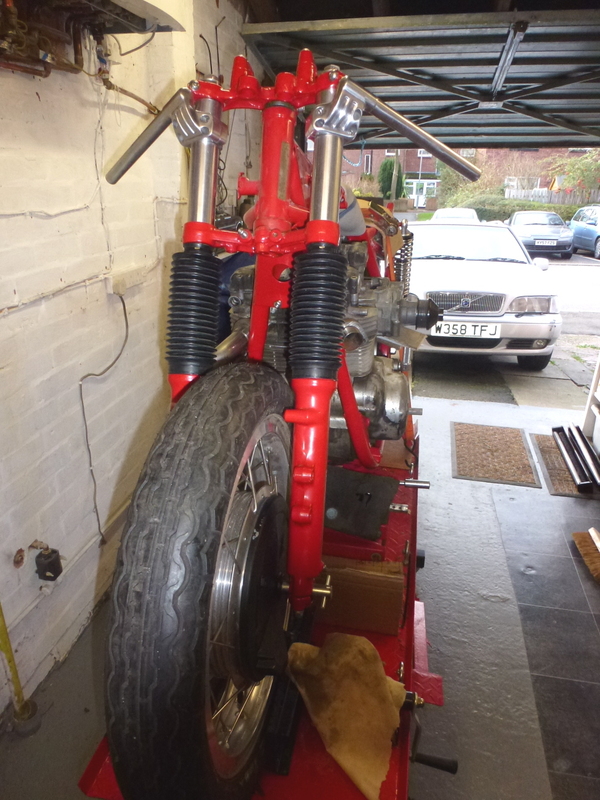 The dummy Manx tank is completed and the AJS 7R seat base has been fettled for fit. 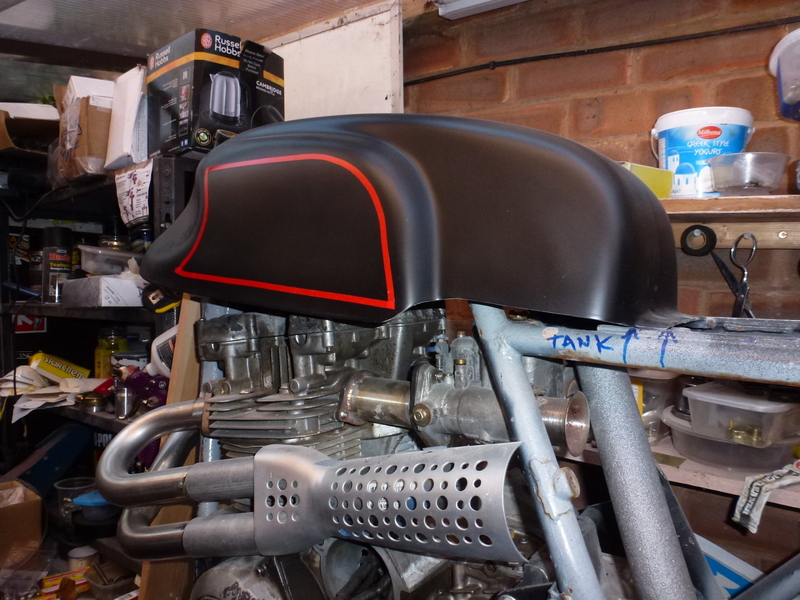 I tried “Classic Silver” on the tank and seat, but just didn’t look right.So it’s back to mean and moody Satin Black with red pinstripes and graffix. It looks like it’s really taking shape now. Forgot to mention …. runs on the seat are NOTHING to do with me !! A pal asked if he “could have a go” ……………………… Just as well I didn’t like the colour combo anyway – it’s back to satin Black / Red pinstripes !! Incidentally the Ray Charles “pinstripes” are masking tape, quickly laid to get an idea. Plan is probably for thick and thin a la Manx Norton with a front to back stripe on the tank top, seat and into fairing. Maybe also some graffix. I’ve been troubled over the choice of colourways – given I went with the Red frame ! OK – this time round with Black or Silver engine and either Gold or Black pinstripes / graffix. 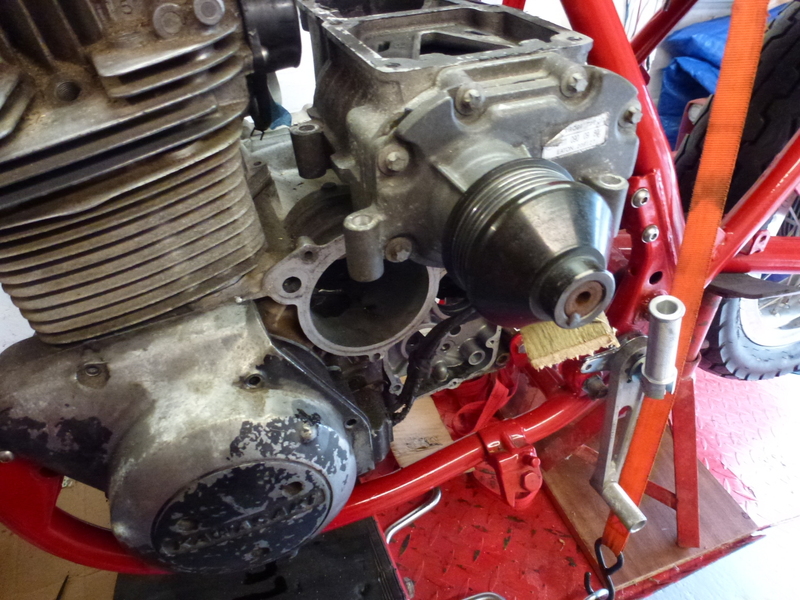 The BSA steering dampener has been modded along with the KZ top nut. Just need a frame anchor bracket and we’re forward to the past. 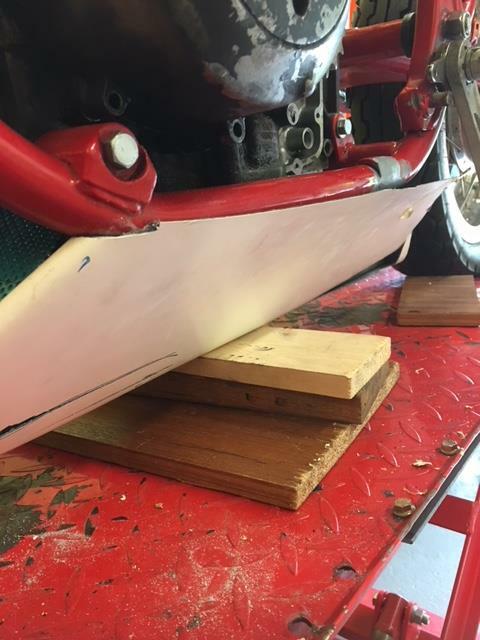 Headers nearly dressed ready for tacking – maybe another hour’s work with a file. While researching twin plug heads I came across this little tweak for cylinder head studs / nuts. 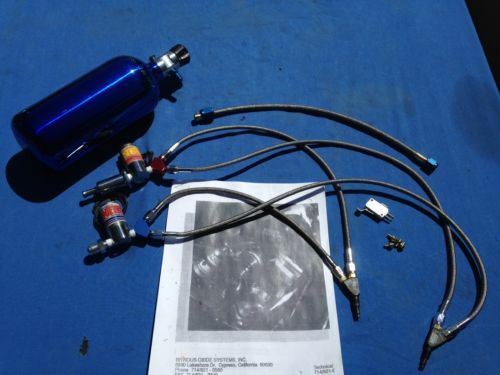 APE make a kit for the 4 cylinder bikes and 4 of the studs are interchangeable with the stock KZ items. 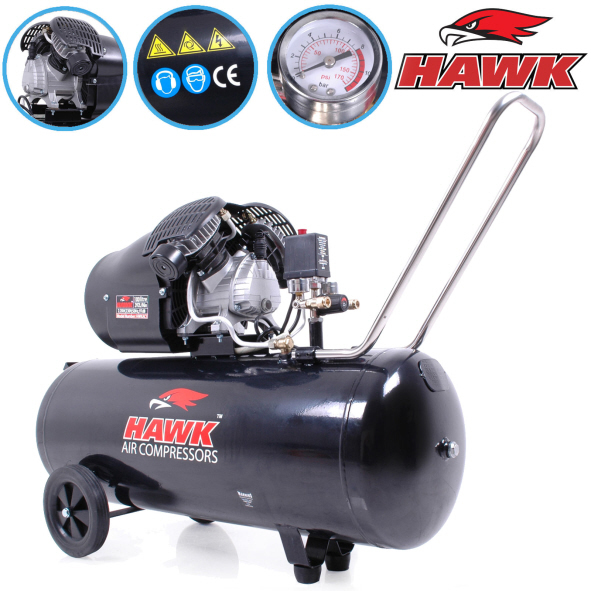 Ideal for anyone making a bit of extra power – or just plain head gasket reliability. I’m trying to talk them into selling the items we need in sets. As they already make them, logic says it’s just another sales outlet. However, big companies don’t always work like that ! We’ll see. Just looked at the pix in some detail …. check out that stud on the right !!! No wonder head gasket problems arise !